by the way, i am not good with my existing one and looking for the new and more productive one including the fine built out and organized space in ... is there any ? I hope this is in the right place. Do any of you use a special jacket as your holster? I have been thinking more along this line. I've been using Versacarry for both my Ruger LCP and My Taurus 85. They are really growing on me. Definitely worth looking at. 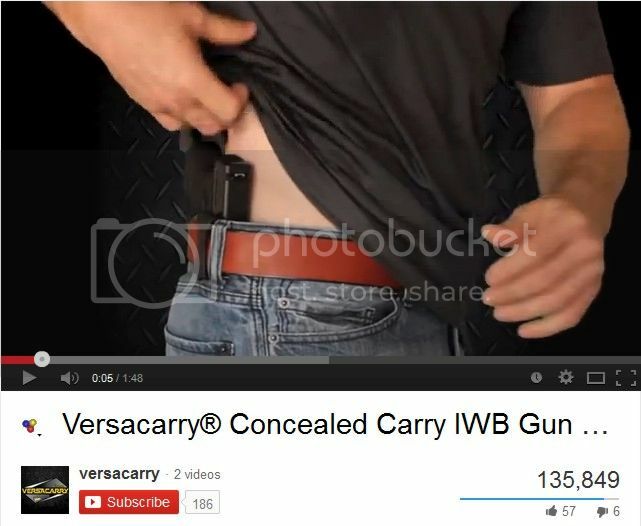 You've been using Versacarry for open carry? Why you gotta belittle the guy for his choice of open carry holster? Clearly you're anti open carry and have an agenda against all law abiding open carriers. Clearly you're a provocateur freakin' troll. 1) I didn't belittle anybody, I asked a simple question.....nearly a month ago. 4) You are a complete and total maroon! I just bought a underarm rig (like Miami vice) I found that the regular side carry was uncomfortable when driving and as a bigger guy I wanted to be able to draw quickly if needed while at a stop. I need to practice to get proficient but I feel this might help. I did not want to keep it in the center console do to having to open the lid and find the gun first. When I get into another truck vs. the car presently I will be able to get a holster to mount under steering wheel.